On March 1, JCI St. Paul kicked off one of our favorite annual events, the Les Farrington Best 100 Juried Art Show. Each year since 1957, we have invited area high school students (grades 9-12) to submit their original artwork for competition. It is one of the only non-school sponsored art events, allowing students to compete against their peers and gain exposure and recognition. This year over 850 pieces were entered for consideration; the best 100 were selected for the exhibit by three jurors from the local art community. 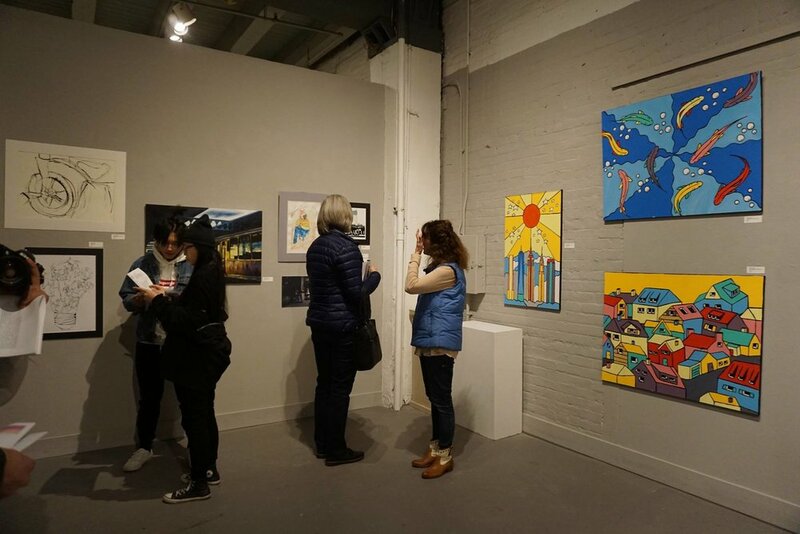 More than 175 people attended the March 1 gallery opening to celebrate the young artists’ talents and efforts. The students were honored with award certificates, and several carefully selected artists received cash scholarships provided by the Saint Paul Jaycees Charitable Foundation. In the 61 year history of the art show, $161,000 has been awarded to young artists, making higher education more accessible for thousands of students. The Les Farrington Best 100 Juried Art Show will be on display at the AZ Gallery in Lowertown St. Paul through March 25, 2018. Be sure to check out these young artists’ amazing work while you can! Click here to see More Pictures from the 2018 Les Farrington's Best 100 Gallery Opening & Awards Banquet. Thank you, Lori Yang, for all the great photos!